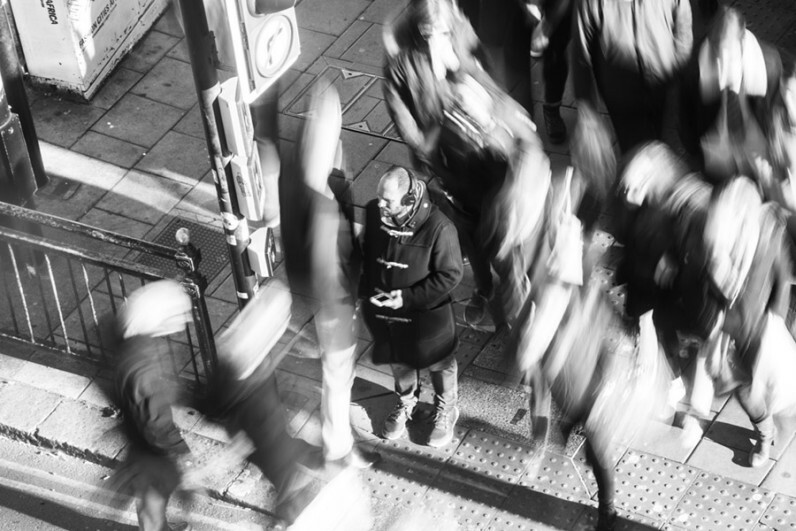 The Hum is a reflection and meditation on our own everyday interactions with the city. Half cinema, half reality, the piece weaves together visuals of your location with a specially composed soundtrack on your smartphone. 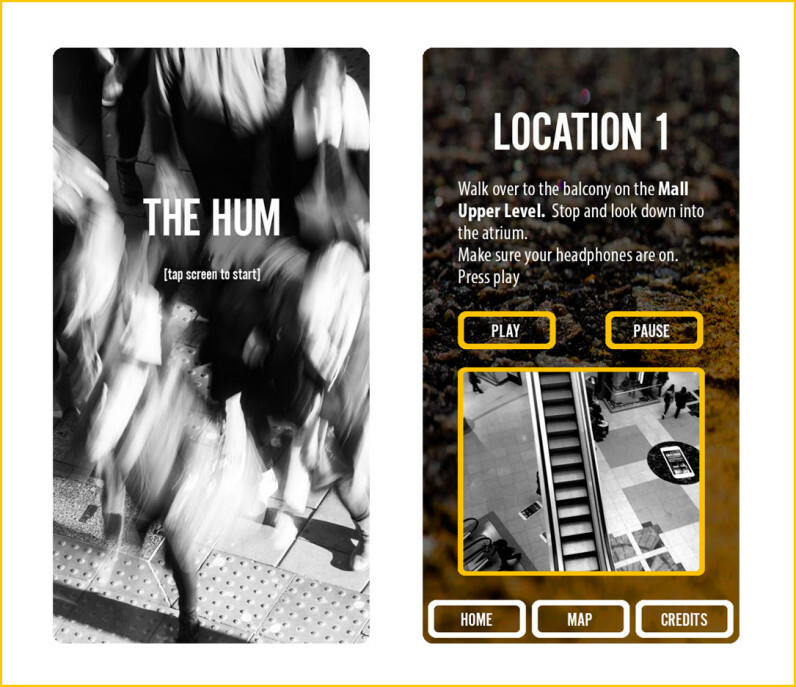 To experience The Hum simply download the free app, plug in a pair of headphones and follow the trail on your screen. Forming a series of acute observations on how we live and interact with the urban environment, The Hum incorporates text from four diverse artists including: international dance artist Wendy Houston, dance writer for The Times Donald Hutera, Maria Oshodi director of Extant Theatre Company of visually impaired people and live artist Pete Phillips to a sound score by musician James Keane. These writers explore the subtle qualities of observed and experienced movement to create their own idiosyncratic narratives ranging from the poetic and humorous through to the ironic and subversive. Re-visiting the mundane activities of our everyday lives, The Hum questions and elevates these inadvertent acts of choreography. At times profound yet often personal it is an immersive work that reveals an alternative view of the city through movements that take place within it. In the Hum there are no performers and no stage just real life, framed as an unusual and surprising performance.